The popular online message board Reddit may be making slight changes to its logo if recent trademark applications filed with the U.S. Patent and Trademark Office are any indication. On August 25th, Reddit, Inc. filed five federal trademark applications with the U.S. Patent and Trademark Office for the design seen below. Reddit filed each application in a separate class of goods or services (hence the five different applications for the same mark). Computer application software for mobile phones and portable devices, namely, software enabling users to view, submit, rate, share, bookmark, index, store, collect, and showcase content in the nature of current events, politics, foreign affairs, news, gaming, comedy, relationships, lifestyle, travel, technology, photos, videos, religion, science, movies, music, art, popular culture, fiction, literature, and general interest news (Class 9). The website filed all these applications on an intent-to-use basis, suggesting it is not using this design in interstate commerce as a trademark yet, but has a bona fide intention to do so in the near future (which makes sense considering a quick scan of reddit.com doesn't reveal this mark). TMEP 806.01(b); 15 USC 1051(b). 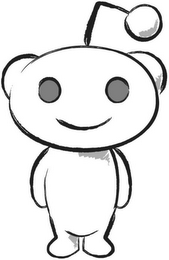 Why file new trademark applications for the design above if Reddit already has registrations for its current logo (see here, for example), which is pretty similar? Because Section 7(e) of the Trademark Act (15 USC 1057(e)) prohibits any amendment of a mark that "materially alters" the mark. See also TMEP 807.14 et seq. An amendment is only acceptable if "the modified mark contains the essence of the original mark (i.e., the mark as originally registered), and the mark as amended creates essentially the same impression as the original mark." TMEP 1609.02(a). If the marks do not create the same "commercial impression," or if it is a close call, it is safer to simply file new applications for the new mark because the new mark may fall outside the scope of protection offered by the existing registration and an amendment to the existing registration would likely be prohibited. According to my quick search, these are the only applications for this new logo filed by Reddit so far. The website owns 41 other live applications or registrations with the U.S. Patent and Trademark Office, including registrations for AMA, REDDIT, and ALIEN BLUE. According to FIFA's website, the bidding process for the 2026 FIFA World Cup is just beginning, but two expressions of interest in hosting the event have been submitted: (1) a joint expression by Canada, Mexico, and the United States, and (2) by Morocco. Regardless, on August 23rd the Fédération Internationale de Football Association (FIFA) filed a federal trademark application for the phrase USA 2026 with the U.S. Patent and Trademark Office (USPTO). FIFA filed this trademark application on an intent-to-use basis, which suggest it is not using this trademark in commerce yet (makes sense), but does mean it submitted with the application a verified statement that it has a bona fide intention to use this mark in commerce. See TMEP 1101; 15 USC 1051(b)(3)(B). Before this application can mature into a trademark registration, FIFA must start using the mark in U.S. commerce and submit sufficient proof of the same to the USPTO. TMEP 1103; 15 USC 1051(d). So does this application indicate the World Cup is coming to the United States in 2026? Not necessarily. Simply filing the application doesn't require FIFA to start using this trademark at some point in the future, only that it have a bona fide intention to do so at the time of filing (the bidding process or expression of interest from the United States might be enough). The intent-to-use filing basis essentially allows an applicant to "reserve" rights in a trademark, so long as they have a bona fide intent to use it, before actual use is made. If this application is approved by the USPTO (which can take anywhere from 9 - 18+ months, depending on the circumstances), FIFA can request extensions of up to three years before it is actually required to start using this mark (ed. - is that enough time to go through the bidding process for 2026?). According to my quick search, this is the first trademark application related to the 2026 World Cup filed by FIFA in the United States. On August 21st, Sig Sauer, Inc. filed a federal trademark application not for a word or a logo, but rather for "the three-dimensional configuration of a pistol." The drawing submitted with the application is seen below. the overall size and shape of the pistol and the external accents and features of the pistol. 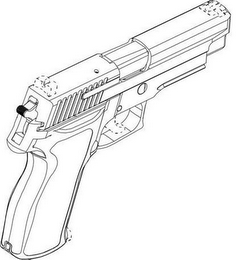 The mark includes the relative proportions of the external accents and features of the pistol, including (1) the angle and shape of the grip in relation to the slide; (2) the size and shape of the trigger guard; (3) the length, depth, and shape of the relief cuts on the sides of the slide; (4) the angle, shape, size, and separation of the lines and ridges on the slide (slide serrations); and (5) the size and shape of the exposed portion of the hammer. The dotted lines indicate features that are not claimed as a part of the mark, including: the shape of the front and rear sight, the shape of the trigger, and the exposed portion of an inserted magazine. The specimen submitted with the application (which is supposed to show the mark as seen by the public) is below. It is possible to register the design of a product, a type of trade dress, as a trademark, but there are a couple more hoops an applicant must jump through to obtain the registration. To start, trade dress that is functional, or "essential to the use or purpose of the article or if it affects the cost or quality of the article" is not registerable. 15 USC 1052(e)(5); TMEP 1202.02(a); Qualitex Co. v. Jacobson Prods. Co., 34 USPQ2d 1161, 1163-64 (1995). The test for functionality is complex. For a better explanation of functionality than I can ever make, see John Welch's article here. If the aspects of the product design sought to be registered are not functional, the trade dress must also have acquired distinctiveness in the marketplace. See TMEP 1202.02(b)(i) ("A mark that consists of product design trade dress is never inherently distinctive and is not registrable on the Principal Register unless the applicant establishes that the mark has acquired distinctiveness..."). An applicant faces a "heavy burden in establishing distinctiveness in an application to register trade dress." Id. Generally, the applicant must establish through a combination of a convincing amount of advertising, sales figures, length of use, survey evidence, survey evidence, etc. that the public has come to recognize the applicant as the source of the product embodied by the design. In sum, if the applicant can establish that the product configuration is (1) non-functional and (2) has acquired distinctiveness, it can be registered as a trademark on the Principal Register. Interestingly, on the same day the application above was filed, Sig Sauer filed two other applications for slight variations of the gun design. Those applications are here and here. It may be that Sig Sauer hopes, by slightly tweaking the elements claimed in the application, it can get at least one of these applications through the registration process. According to my quick search, these are the first trademark applications for a gun design filed by Sig Sauer. What do you think? 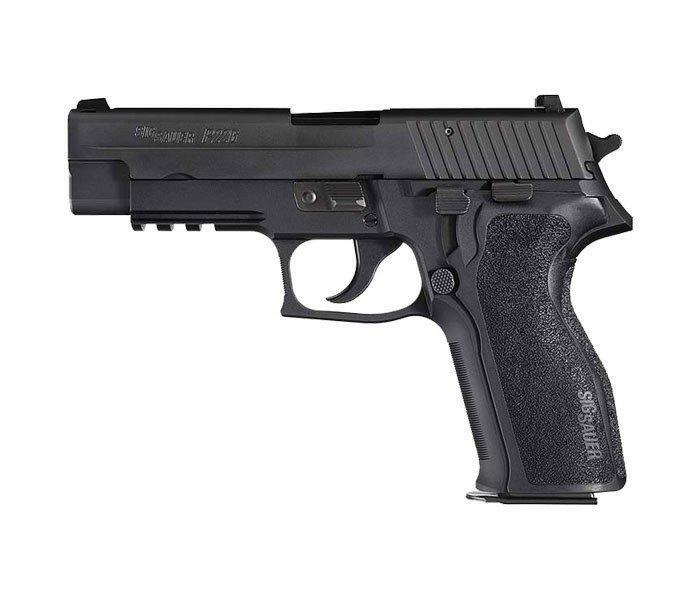 When you see the gun configuration above, do you think of Sig Sauer? If you're a lady and you like drinking beer, these trademark applications are for you. 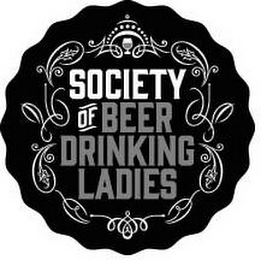 On August 18th, the Society of Beer Drinking Ladies, Inc., a corporation based in Toronto, Ontario (who else but the Canadians, eh? ), filed two federal trademark applications with the United States Patent and Trademark Office - one for the name SOCIETY OF BEER DRINKING LADIES and one for the logo seen below. A variety of clothing items (Class 25). According to the applications, the Society has been providing drinking glasses, the website, and clothing items in the United States since 2014. The filing basis of the goods and services in Classes 18, 32, and 43 suggest the Society is not selling those goods or rendering those services in the United States yet but has a bona fide intention to do so in the near future. According to my quick search, these are the first United States trademark applications filed by the Society of Beer Drinking Ladies, Inc. According to the group's Facebook page, it is about "bringing ladies together for good times and craft beer." Sounds like a worthy cause to me. Halo Top is a line of low-calorie, high-protein, low-sugar ice cream sold by Eden Creamery in Los Angeles. Currently the company sells a variety of ice cream flavors and has become increasingly popular over the last couple years. On November 15, 2016, the creamery received a federal trademark registration for HALO TOP covering ice cream and online retail store/online ordering services featuring ice cream. 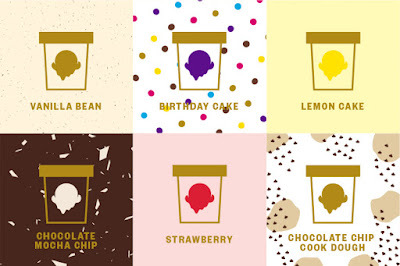 Eden Creamery filed the three HALO TOP applications from March and August 2017 on an intent to use basis, suggesting the creamery is not selling these products or providing these services yet, but does have a bona fide intention to do so in the near future. TMEP 806.01(b); 15 USC 1051(b). While these applications by no means guarantee that Eden Creamery will release these Halo Top goods and services, the company is required to start selling the goods and rendering the services in interstate commerce before the applications can mature into registrations. See TMEP 1103. If you're a Halo Top fan, keep an eye out for more delicious Halo Top products (and perhaps ice cream parlors) in the near future. On August 5th, an individual in Pennsylvania filed an application to register NUTTY NECKLACE as a trademark with the U.S. Patent and Trademark Office. The application covers "necklaces" in Class 14 and indicates the mark has been in use since January 5, 2000. The specimen submitted with the application (which is suppose to show how the mark is actually used in commerce and is seen above) indicates that this mark is used in conjunction with the sale of "hand-crafted jewelry using stainless steel nuts." Makes sense. But is it merely descriptive, and therefore not registerable on the Principal Register without a showing of acquired distinctiveness? See TMEP 1212; 15 USC 1052(f). Typically, a mark is considered merely descriptive if it "describes an ingredient, quality, characteristic, function, feature, purpose, or use of the specified goods or services." TMEP 1209.01(b). However, if the mark is a "double entendre" in that it is a "word or expression capable of more than one interpretation" it will "not be refused registration as merely descriptive if one of its meanings is not merely descriptive in relation to the goods or services." TMEP 1213.05(c). For example, the mark NO BONES ABOUT IT was held not to be merely descriptive of boneless, pre-cooked ham given its double connotation. In re National Tea Co., 144 USPQ 286 (TTAB 1965). 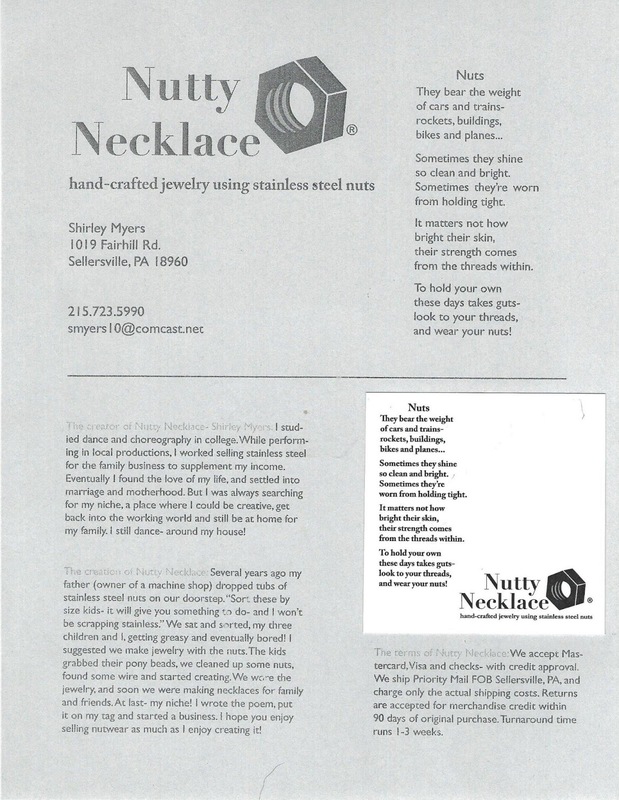 Does NUTTY NECKLACE only describe a characteristic or quality of the necklaces? Or does it have another interpretation that is not merely descriptive, such as suggesting a quirky, non-traditional necklace? We'll find out what the Examining Attorney assigned to this application thinks in approximately three months. TINKERBELLE THE DOG Trademark Application Filed For "Modeling" and "Personal Appearances by a Social Media Celebrity"
Oddly, this isn't the first time I've blogged about a trademark application for a "celebrity" dog. 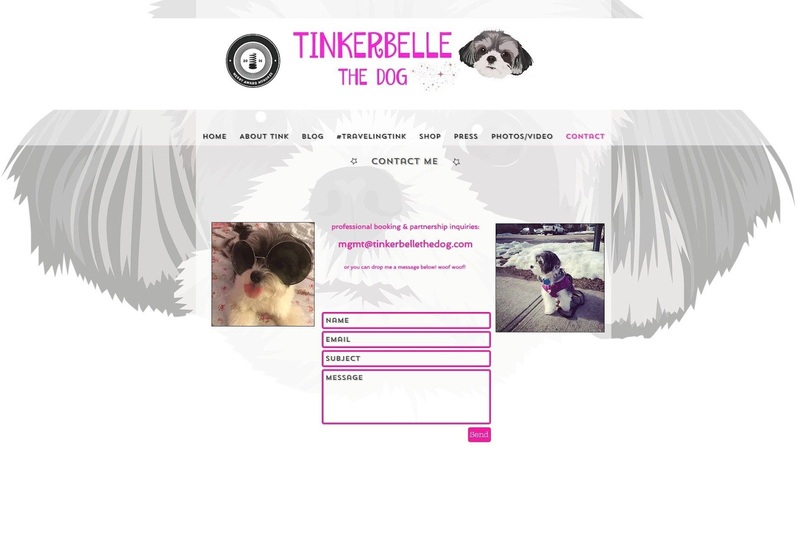 First it was Doug the Pug, now it's Tinkerbelle the Dog. Promoting the goods and services of others; Retail store services featuring memorabilia, namely hats, calendars, stickers, notebooks, souvenir bags (Class 35). According to the application, these services have been offered under the TINKERBELLE THE DOG mark since at least as early as June 1, 2014. Curious to know how much of a social media celebrity Tinkerbelle the Dog really is, I did my own quick search. Surprisingly (or maybe not), the dog has 154k followers on Instagram, 13,944 followers on Facebook (along with 14,528 likes), 2,278 followers on Twitter, and made $20,000 in 2016. Not bad for a small dog. Does Anheuser-Busch want you to drink beer with lunch? Possibly, according to a recent trademark application filed with the U.S. Patent and Trademark Office. On July 31, Anhesuer-Busch, LLC filed a trademark application for LUNCH BEER covering (you guessed it) "beer" in Class 32. The beer giant filed the application on an "intent to use basis," suggesting it is not yet selling this beer but has a bona fide intention to do so in the near future. TMEP 806.01(b); 15 USC 1051(b). Before this application can mature into a registration (assuming the application otherwise meets statutory requirements and is not opposed), Anheuser-Busch must start selling beer under this mark. See TMEP 902. In other words, while there's no guarantee the beer company will start selling this beer, keep an eye out for a LUNCH BEER at your local bar or grocery store in the near future. According to my quick search, Anheuser-Busch, LLC owns 397 active trademark applications or registrations at the USPTO, including registrations for THIS BUDS FOR YOU.